I often will see people in consultation for cosmetic concerns who have experienced previous light based treatments. Unfortunately, when I ask if they were treated with a laser or an IPL (intense pulsed light), they seldom have any idea or even know there is a difference. I think patients have this idea that there is one laser that does everything. A laser is an energy device delivered at one specific wavelength of light. That particular wavelength will generally correspond to the energy being absorbed by a specific target in the skin. That target will then determine what clinical benefit can be expected for a medical condition. For example, vascular lasers will have a wavelength that targets blood cells, making them useful for reducing unwanted blood vessels or reducing redness. Lasers for sun spots or tattoos have a wavelength that targets different colors of pigment and in different depths of the skin. So each laser is a very precise, focused treatment for a limited number of conditions. An IPL will deliver a broader high energy light over a wider spectrum of wavelengths or utilize filters to narrow the light to a more narrow spectrum. This may allow them to target multiple targets in one treatment. In my opinion, the early IPL devices lacked the energy necessary to treat skin conditions as well as lasers. However, advances in newer IPL devices make them very useful for treating a variety of conditions. 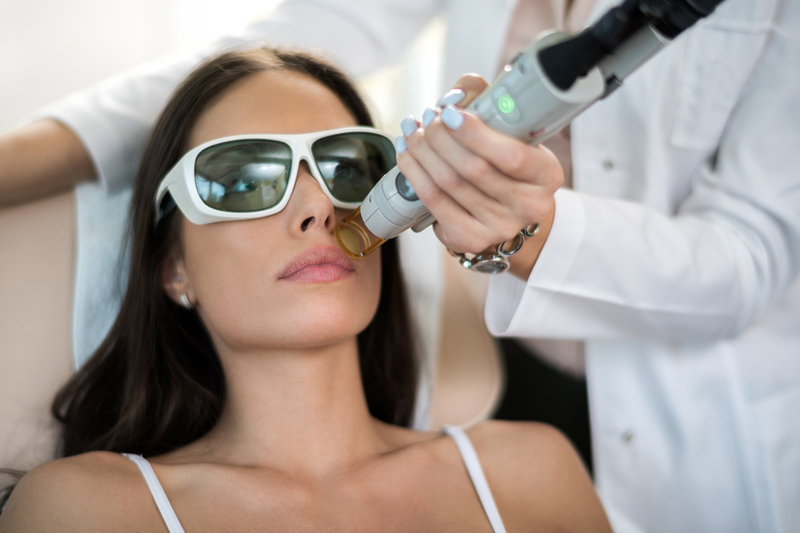 In fact, for some patients, an IPL may be preferred over a laser to address a variety of conditions in one treatment. Rejuvenation with an IPL can effectively address redness, brown spots, and overall skin tone in one simultaneous treatment. I still believe that sometimes a laser may be preferred to more effectively target a particular concern of a patient, but IPL treatments definitely have a role in cosmetic dermatology, especially in overall rejuvenation. Fortunately, at our practices at Northeast Dermatology & Cosmetic Surgery Center and SKIN Dermatology & Aesthetics, we are able to offer treatments with a variety of multiple lasers as well as an IPL to most effectively customize treatments to patients’ particular needs.